Frame Door Seal, anodised aluminum frame doors with seals that have been proven to be a soundproof acoustic and smoke seal effectively reply. Door Frame Seal is very quick and easy to install on the door frame to seal between - between or distance between the jamb and the door to make noise or smoke leakage. 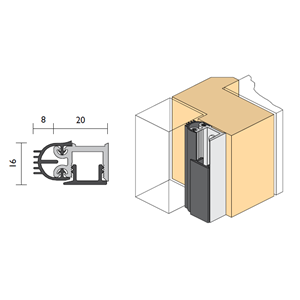 Superior multi-fin sealing to prevent leakage noise, smoke, temperature and energy around the edge of the door. 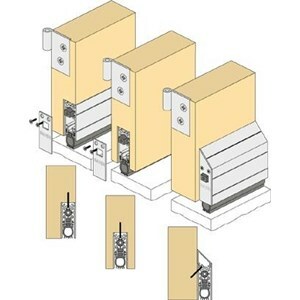 Minimum deflection sealing fin design creates maximum efficiency. Min / Max Gap 0mm 10mm. Seal Available in various sizes. 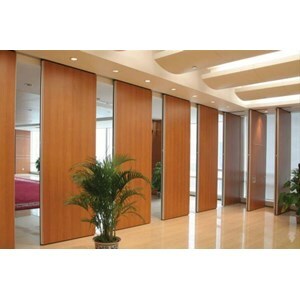 Sliding partitions is a flexible solution for every space. Anda Mencari "Door & Window"? Buat Permintaan Untuk "Door & Window"